Cake rolls, as the name implies, are cakes that are spread with jelly or buttercream and then rolled into logs. The French name is roulade. 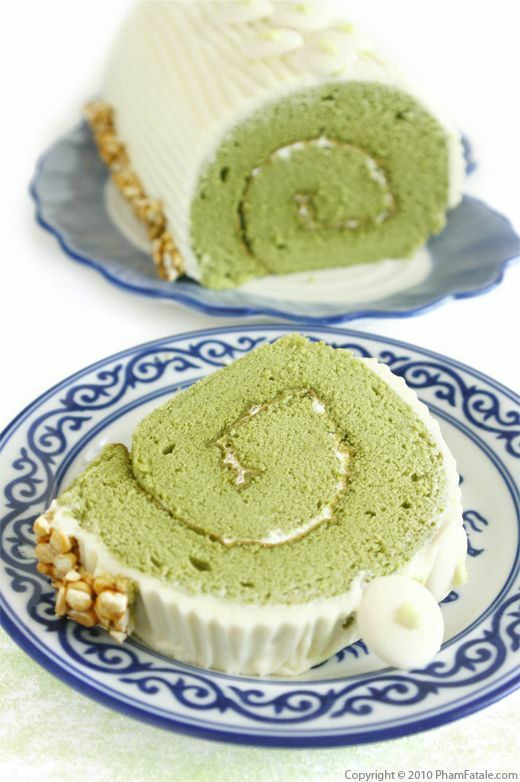 For this recipe, I decided to use matcha green tea because of its very delicate flavor. 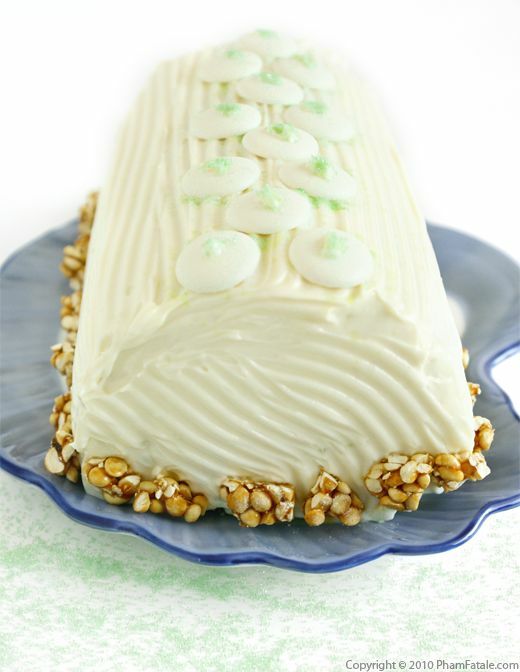 It also gives the cake (called génoise in French) a beautiful jade green color. I filled and covered the cake with vanilla butter-cream and kept the flavors appropriately Zen in their simplicity. Matcha green tea is fairly expensive and has a very short shelf life, so once the box is unsealed, consume it fast. Enjoy it as is with hot water or flavor your favorite desserts with the green tea powder. I had a little less than one tablespoon left in the tin. I think I had made pretty good use of it with desserts such as Vietnamese agar agar desserts, tea lattés, crème brulées and ice cream.